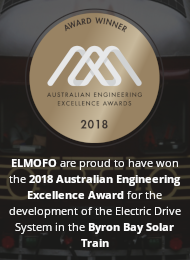 Solar Power Australia, through our Electric Vehicle division ELMOFO, have built a high performance Electric Radical SR8 Race Vehicle. 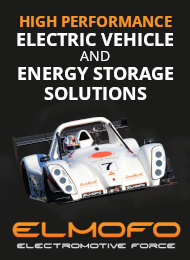 The objective of this project was to build an electric powered Radical that can mix it up on the track with the extremely high performance V8 powered Radical SR8s. Our performance modelling indicated that we will have more power and torque than the V8, but are carrying a lot more weight. Early track tests have shown some very good performance, so it should be an interesting comparison. Panasonic Japan commissioned Solar Power Australia to design and construct a portable solar power system to charge the Lithium battery packs to run all the camera and computer equipment required to film the total eclipse of the sun in Cairns and Port Doulas in QLD Australia. The equipment was also to be used to broadcast the live footage of the eclipse to hundreds of thousands of viewers around the globe. Solar Power Australia was contracted to design and install Stand Alone Solar Power Lighting Systems to illuminate two (2) double sided billboards on the M7 Motorway near Sydney NSW. The requirement was for lighting systems that could reliably provide light levels of 400 Lux on the billboard sign adverts for 7 hours after sunset and 3 hours before sunrise. 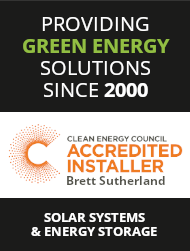 Solar Power Australia’s solar powered bus shelter lighting systems increase public safety and reduce the likelihood of vandalism. These purpose-built solar lighting systems are adaptable to most bus shelter designs and have sufficient energy production to provide light from dusk til dawn. Solar Power Australia’s ST-235 Solar Communications Trailer was developed to service the growing distributed communications networks on mine sites. The ST-235 is designed to power a wireless mesh system based on the Rajant Breadcrumb LX series and have been providing reliable power for networks across Australia since 2008. Solar Power Australia’s conversion of a DeLorean DMC-12 to a performance Electric Vehicle was completed in June 2012. We are pleased to say that the conversion was a success with the electric drive providing much better performance than the V6 petrol engine.